I was born and grew up in Saigon. My career started off in the Gaming Industry with my main focus at that time being rendering engines, optimizations and network multiplayer. I then went on with a few friends to found our small game studio focused on delivering high-quality 3D games for mobile platforms. During that time I took on various role in the game development cycle, from game developer to front-end developer, and then back-end developer. Ever since I started taking up the role of full stack developer, I slowly lost interest in game development and rather, found my new interest in blockchain technology. I’m the Technical Leader for the Blockpass team. My main role is to ensure the development team cooperate and function in the best way possible. I help with planning, assigning tasks to team members, help them with the ETA, check their work progress, their obstacles (either a technical problem or a work dependency), and verify the quality of their work. I also worked on developing the smart contract on Ethereum and setting up the mobile & web project framework. In my spare time, I usually take on some RnD tasks on blockchain technology, mainly in scaling methods and how to apply them to our project. I usually start the date with checking Asana, where we store our project progress, all tasks updates and details. 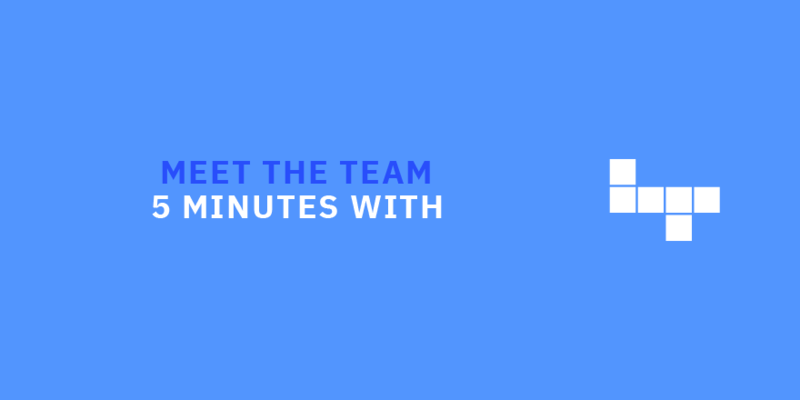 When the team arrives we would do a casual daily meeting either face-2-face or on Skype. We usually discuss past tasks, current tasks, any issues that need technical support or business decision. After that I may have 1 or 2 interviews, as our team is expanding fast to cope up with the grand scale of the project, and we really want to hire the right people for it. Afternoons are quiet times for me when I can concentrate on my own technical tasks, or doing RnD. In between these time slots I usually read a Medium article or two. It was actually a coincidence, to be honest. Two years ago I was interested in blockchain technology, so I decided to take on the new path of a blockchain developer. My first project dealt with solar energy but very soon we discovered that concept is missing one core module: an identity management system. So we put that project on hold and went on to create the Blockpass project as we know it now. I would pick transparency because that’s what makes blockchain standout from traditional systems. Well I would hope to see blockchain become more scalable and more widely adopted across industries throughout the world in the next 5 years. If that means I can travel to the past and meet that person, then I would choose Albert Einstein, just to tell him that time travel is possible. Otherwise I would like to meet Dennis Ritchie, the inventor of C language and co-developer of Unix (simply because C is the first programming language I learned and it has had the most impact on my path).